Best available part for restoring older Fender models. Genuine Fender 0990930000. Your custom is of the highest importance to all of us at Custom World Guitar. Fender Original Black Tolex. This is great for Fender amplifiers between 1959-2017, Acoustasonic and 63' Reverb Unit etc. The size is 138 x 90cm. Fender Original Black Tolex. This is great for Fender amplifiers between 1959-2017, Acoustasonic and 63' Reverb Unit etc. The size is 181 x 138cm. Fender '60s style black strap type steel reinforced handle with nickel ends. Genuine Fender 0990947000. Complete with mounting hardware including T-nuts and oval head nickel plated machine screws. 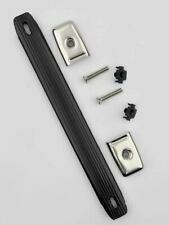 Fender genuine USA Standard Black Amplifier Handle. 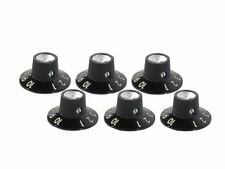 Each clasp mounts to the amplifier cabinet with two screws. 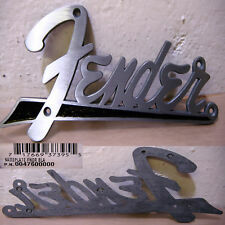 Genuine Fender 0990948000. Your custom is of the highest importance to all of us at Custom World Guitar. It is not original but it fits perfectly. País/Región de fabricación China. 1 x Guitar AMP Handle. Handle for guitar amplifier and other gear. There are steel rods inside the handles, which effectively increase the handle life. 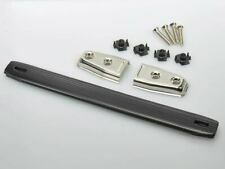 1 x Mounting Screw Kit. Handle Length: Approx.210mm/8.27". Designed to fit Blues Junior™ and Blues Junior™ III amplifiers (1996-present). 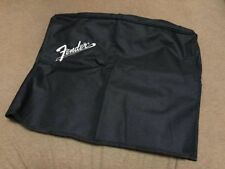 Covers are available in different colors and sizes to fit most Fender amplifiers and extension cabinets. Prompt Dispatch. Nuovo di zecca! Tolex nero originale Fender. Questo è grande per amplificatori Fender Acoustasonic 1959-2017 e 63' unità di riverbero ecc. Type Tolex. EAN Does not apply. NO SP ED IZ IO NE IN CO NT RA SS EG NO. SAPPIA CHE LO FA A SUO RISCHIO E PERICOLO. i will answer as soon as possible. A RICHIESTA FORNISCO SERVIZIO DI ASSICURATA. Misura 14x7 cm circa ed è spessa circa 3 mm. Cinturino nero con tappi argento. To Fit Guitar Amplifier. Country/Region of Manufacture United States. UPC Does not apply. MPN P-H261. Hardware non incluso. Poliestere nero con logo ricamato Fender. Tipo: Copertura dell'amplificatore. La copertura dell'amplificatore mostrata nella foto è un esempio di immagine. Il prodotto reale e il logo. -da fine dicembre all'inizio di gennaio (circa 28 dic-6 gen).